Fungi Perfecti offers ready-to-inoculate, pure mushroom spawn and cultures of over 25 different mushroom species. We maintain stock of these species for use as inoculum into bulk substrates. This section of fungi.com deals with sawdust/wood chip spawn, grain spawn, and cultures for those wishing to explore mushroom cultivation. If you are looking for Plug Spawn for log and stump cultivation for the home grower, click here. Please note: unlike our ready-to-grow Mushroom Patches and Plug Spawn, our Sawdust Spawn, Grain Spawn and Cultures do not come with instructions. It is up to the purchaser to familiarize him/herself with the techniques of sterile mushroom tissue culture to properly use these products. The books Growing Gourmet & Medicinal Mushrooms and The Mushroom Cultivator are essential texts in this field. Turnaround time for most orders is 2–6 weeks; each order of spawn or cultures is custom-generated at the time of the order, and grow-out times will vary. Please check the availability and estimated date of shipping for your spawn when ordering. We do our very best to insure that quality spawn is produced. We can not, however, be responsible for the condition of spawn once shipped. Under some conditions we prefer to ship via UPS 2nd Day Air to insure viability; we will contact you prior to processing your order if we deem a shipping upgrade to be necessary. If the spawn arrives defective, it will replaced at no charge provided we are notified within 48 hours of delivery and the defective spawn is returned. Since we cannot control the methods by which this spawn is used, no promises or claims about yields are made (there are simply too many factors involved). This spawn is being offered as a service. We encourage all commercial cultivators to develop sterile culture skills to create their own spawn. Promoting sterile culture is our business. Fungi Perfecti is dedicated to preserving the fungal genome and actively search for new strains from old growth forests. Primarily centering on saprophytic mushrooms, our goal is to capture as many phenotypes as possible through tissue culture cloning. With the loss of habitat, especially ancient forests, we feel the importance of biological diversity can not be overstated. We hope to do our small part to help preserve the fungal biome by bringing into culture ancestral strains before they are lost forever. Fungi Perfecti's Pure Mushroom Spawn and Cultures have been grown and stored under tightly controlled laboratory conditions. Fungi Perfecti is Certified Organic by the Washington State Department of Agriculture; this certification extends to our cultures and spawn. Upon request, we can provide international customers with a Manufacturer's Declaration stating that our cultures and spawn are grown on sterilized media, and incubated in Class 100 Clean Rooms (this means that they contain fewer than 100 airborne particles per cubic meter of air). 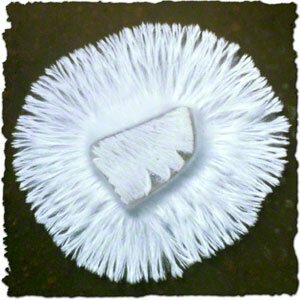 Your country's government may have restrictions on the importation of live mushroom mycelium in general, or on the importation of certain species or forms of live mycelium in particular. It is the responsibility of the customer to research and fulfill the requirements for importation of live mushroom mycelium into his/her country. Fungi Perfecti shall bear no responsibility for the loss or damage of live mushroom mycelium seized or detained by government agencies because of improper or missing permits or documentation. Fungi Perfecti will also not be held responsible for any fees, fines, duties or taxes charged to a customer in connection with an order for any of Fungi Perfecti's products or services. Additionally, Fungi Perfecti will not alter official documentation such as phytosanitary certificates, invoices, bills of lading, etc., in any way that renders the document inaccurate or misleading regarding the contents or value of the product(s) being ordered. Fungi Perfecti does not have the capacity to fully document and follow all international importation restrictions and conditions. It is incumbent upon the international customer to familiarize him/herself with these regulations and take them into consideration when ordering. Any international order that is returned to Fungi Perfecti due to any circumstance other than defective merchandise or documentable negligence on the part of Fungi Perfecti will be refunded, in whole or in part, at the sole discretion of Fungi Perfecti. If we judge that we have processed and shipped your order with all due diligence, your money will not be refunded. Shipping charges will not be refunded.